I have been trying to make a good AIP pancake now for months. I’m talking since way back in September. And when I say ‘good’ I mean so good that Willow doesn’t even miss the chocolate chips. When I presented this trial to her a couple of weeks ago, she hesitated to take a bite, but when she did, her face lit up. After three pancakes worth, she said, “these are my favorite! Can you keep making them? ?” YAY!! I finally did it! And the best part was that she didn’t even ask where the chocolate chips were, she just kept eating. In past trials, I’ve thrown in chocolate chips to make up for the gummy or mushy center…or to cover up the strange aftertaste. Thus defeating the purpose of AIP! 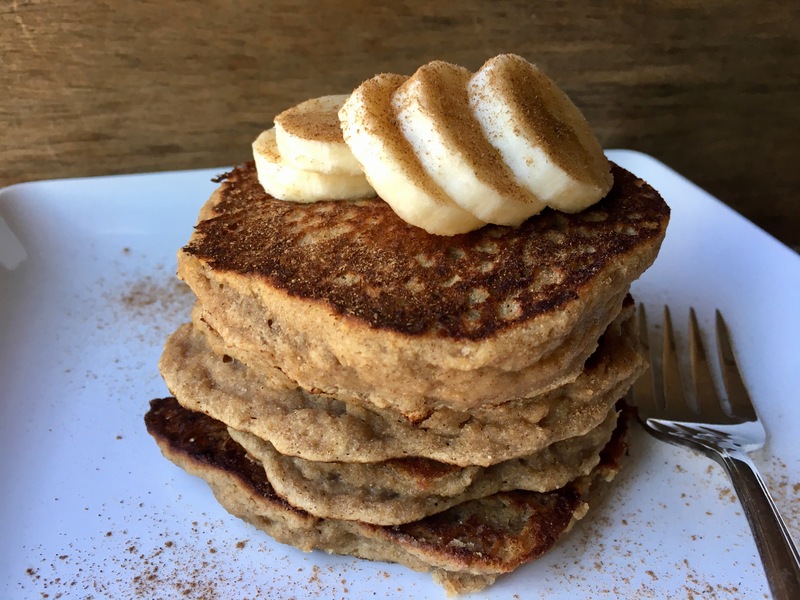 After adjusting a few key ingredients, there is no need for masking flavors and I actually prefer these without maple syrup to keep the sweetness level lower…but I totally add a TON of extra cinnamon on top! Every time we make these, our house smells like freshly baked banana bread for the rest of the day. It’s wonderful! *The combination of baking soda + cream of tartar is to replicate baking powder. Being on an AIP diet means staying away from commercial baking powders as they tend to contain cornstarch. If you’re not following an AIP diet, use 1 teaspoon of baking powder instead of the baking soda + cream of tartar. Start heating your pan over low-medium heat. I tend to keep it at notch 4 with my electric stove. In a medium bowl, whisk together all of the dry ingredients; breaking apart any clumps of tigernut flour. Next, stir in the mashed banana and coconut milk. Finally, add in the apple cider vinegar and stir until just combined. This batter will be very thick. Add about a teaspoon of coconut oil to your hot pan and scoop small amounts of pancake batter into the pan and smooth it out into a circle with the back of a spoon. I personally like to use an ice cream scooper to make pancakes. With this specific recipe, I fill the scoop halfway because I find that they’re easier to flip when smaller. Allow to cook for 3 minutes, flip, and cook for another 3 minutes. Unlike usual pancakes, these do not bubble up or get super dry edges to indicate when it’s time to flip. Depending on what pan you use, you might have to add more oil. Enjoy with maple syrup, fresh fruit, and extra cinnamon! I love seeing a post from you pop up and when it’s a pancake post? Even better 🙂 I must try some tigernut flour pancakes! You know I have a ton of tigernut to use! No…I did not get an email? These look sooo good and fluffy Mandy! Even better that Willow loved them, yay!! Getting the seal of approval from our kid is the best part of recipe creating, because they are so brutally honest, hahaha! I wish, wish I liked bananas so I could make these!! Even Olivia doesn’t like bananas, unfortunately…maybe with chocolate chips she would though. It’s weird because she used to like bananas but now won’t eat them because they are “too mushy”, lol! Anyways, I know how hard it is to nail a vegan pancake recipe. I remember the first time I nailed my gluten-free ones and it was literally life changing. I was a pancake-making master before I became vegan, but oh boy, was it a whole other world when not using eggs! Thank God there is ways to succeed at it because there is nothing worse than mushy uncooked middles in pancakes, gag! These are so thick and fluffy, just like pancakes should be! You nailed it girl!! Amazing pancakes! I love pancakes and your recipe has the potential to become my favourite! OMG AIP Pancakes do exist??? Trying this! I’m applauding you, lady! Thank you for such an amazing recipe! 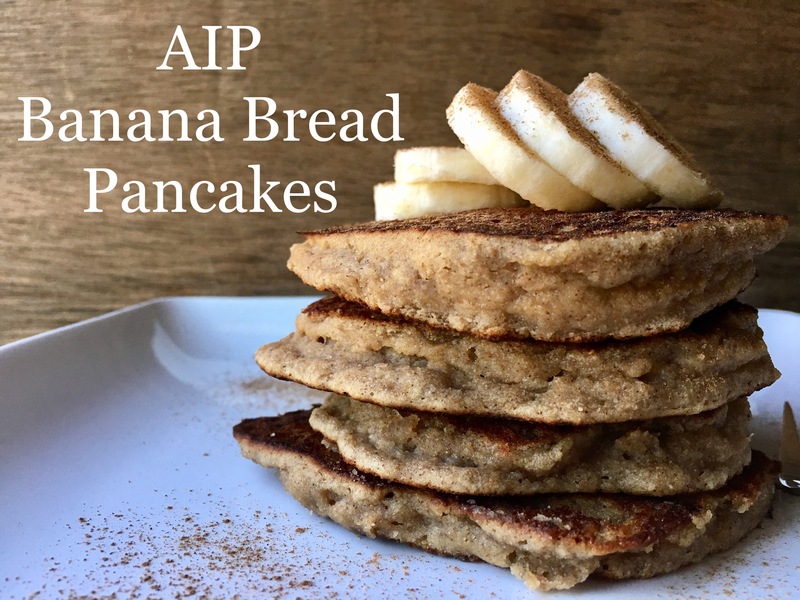 These are my new favorite AIP pancakes. I left out the coconut sugar because I thought it would be sweet enough with the banana and the maple syrup I was going to use, and for my tastes I was right. Didn’t miss it at all. Awww!!! Yay!! I am so happy to hear that you enjoyed these pancakes!! And I’m right there with you as far as omitting the coconut sugar – the banana and maple syrup makes it plenty sweet for me 🙂 Happy holidays to you!! I was making this once again today, and I just noticed that the ingredient list mentions apple cider, and then the directions are telling you to add the apple cider vinegar. My brain must have originally read the recipe with the word vinegar in it, since that’s what I used. But I wanted to mention that it probably should be fixed in the ingredient list, or in the directions if it really should have been apple cider. These are amazing! I started AIP at the end of Novemeber which means I am missing out on the holiday season. These are a game changer. I made these for christmas breakfast and I had the kids try it…my 14 year old asked for more. Yay!!! This makes me SO happy!!! AIP was so hard for me during the holiday season – so I feel ya! I hope you had a wonderful Christmas ❤️ and thank you for giving this recipe a try! Wishing you all the best in the upcoming new year! I tried these, minus the sugar and I didn’t have tiger nut flour. I used coconut flour instead! When you said thick, I didn’t realize it would be that thick, so added more coconut milk to it! Hmmm………..not sure if I like it but lots of maple syrup on them was a little easier to swallow! 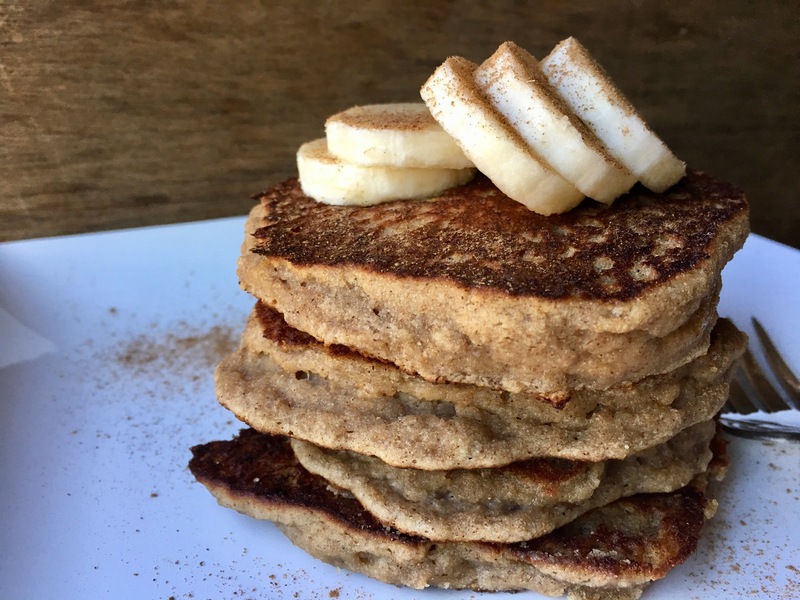 Sorry to hear these didn’t work out for you…sadly, coconut flour is a very tricky AND SUPER absorbent flour and should never serve as a replacement for another flour as it will drastically change the results. If you ever give this recipe another go, as written, let me know! These look amazing! Do you need to use a non-stick pan? Thx! Hello!! Thank you ☺️ You don’t need to use a nonstick pan – I’ve made them on a cast iron skillet and a regular old pan, but a little coconut oil is definitely necessary to prevent sticking. Let me know if you give them a try!